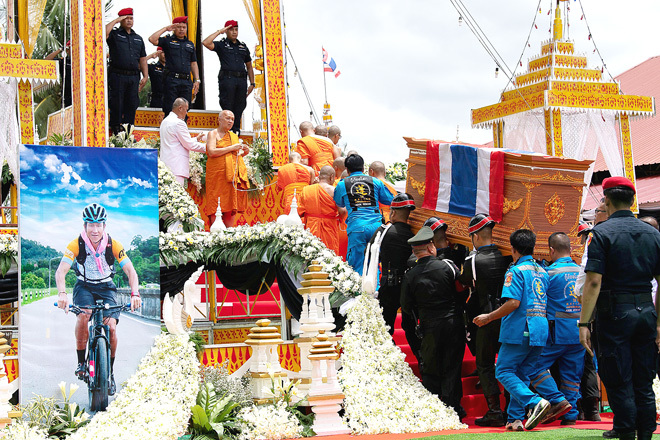 CHIANG RAI, Thailand: The 12 boys and their coach rescued from a Thai cave mourned the death of an ex-Navy SEAL who died while taking part in the mission, the health ministry said yesterday. The ‘Wild Boars’ football team are recovering in hospital following 18 days spent inside the Tham Luang cave after entering on June 23 and getting trapped by monsoon floodwaters. Thai Navy SEALs and international cave diving experts hauled the last five members of the team to safety.